A record is close! Facebook stocks delight investors with their quotations. 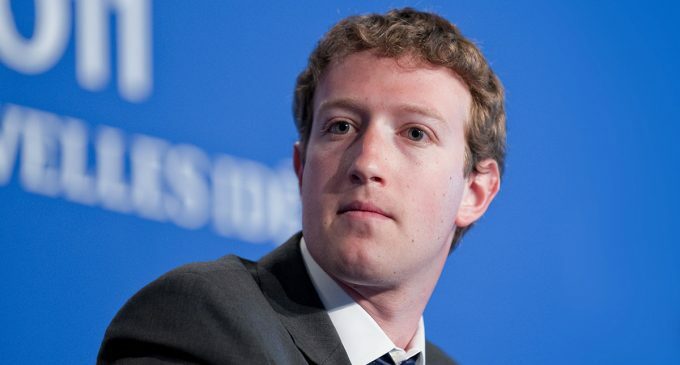 Facebook Inc Corporation has got closer to the record of prices for their shares. The American company that owns the most popular social network in the world has achieved such impressive results after the report publication. Due to the report it became known that the net profit of the corporation for the last quarter of the past year has grown by 20%, in absolute terms the profit has amounted to $ 4.27 billion. A tax reform, which hit American business in the end of 2017, has led to the cancellation in the Facebook company. The deduction has totaled $ 2.27 billion ($ 0.77 per share). If Donald Trump had not insisted on the tax reform, and conditions for calculating contributions had remained unchanged, the corporation could have boasted of maximizing profits by 61 percent. Revenue figures have grown by 47% in the quarter. Its amount has totaled 12.97 billion US dollars. It is an absolute record for the entire history of the company development. The main source of income of the company is advertising. The company has got 12.78 billion US dollars from the clients. This is approximately $ 0.48 billion more than the experts interviewed by Thomson Reuters expected. Quite recently the market has experienced the decline of quotations for Facebook shares by significant 5%. It happened in connection with the tax reform and the data publication on the decline in the popularity of the social network. Then, when it became known about a sharp increase in the price for advertising, the company’s shares rose to a record level of $ 194.5 per share. The social network platform has changed (for example, the logic of the news feed formation has changed). Because of these changes, the daytime audience in Canada and the US has decreased by almost a million users; the total “online” time has reduced by 50 million hours per day (the calculation was made for the global audience). However, the number of social network users with daily activity has increased to 1.4 billion people. During the press conference on the financial quarter results, Mark Zuckerberg said that the past year had been productive, but difficult. The head of the company also formulated the goal for 2018.It is assumed that the Zuckerberg’s team will focus on contributing to the society and people. Well, according to eMarketer , the company’s share will amount to 18.4% in the global digital advertising market. By the way, according to the experts’ forecast, Google will remain the leader with the share of 31.3%. A company’s net profit for the year has amounted to 15.9 billion US dollars; the revenue has amounted to 40.7 billion US dollars; at the moment the company’s capitalization has been estimated at $ 545 billion.